As part of the shutdown, members of the U.S. Geological Survey had been sidelined. So, when the Hayward Fault let fly with earthquakes that struck the Berkeley/Oakland/Piedmont area in the wee hours the last two days, the USGS wasn't able to respond. Fortunately, the USGS has a partner in monitoring Northern California seismic activity. 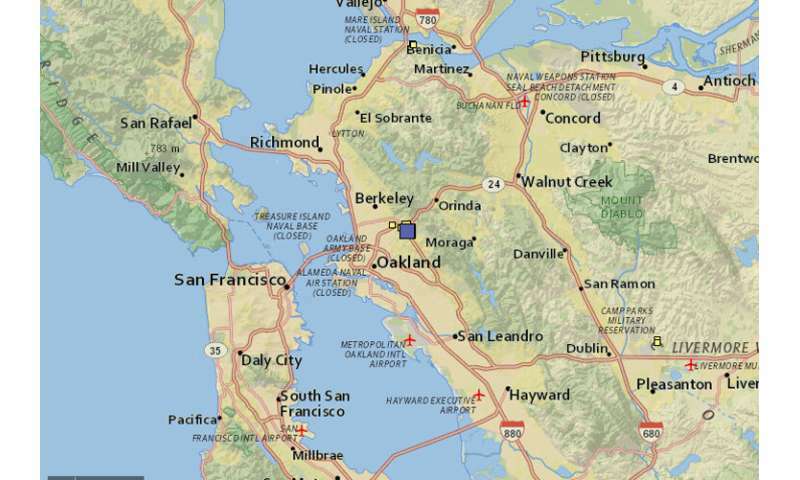 UC Berkeley's Seismology Laboratory was on the job, so news about the quakes got out as if nothing was amiss. But the Seismology Lab is funded, in part, by the USGS, and that funding runs out in two weeks. Once Feb. 1 rolls around, if the shutdown hasn't ended, monitoring of earthquakes will become dicey. "We've had to live through shutdowns before; we're used to it a little," Richard Allen, the director of the Seismology Lab, says. "But this is the longest we've had to do it." And the human touch is also needed if one of the machines acts up. And computers being computers, they do act up. Over the course of the four-week (and counting) shutdown, breakdowns have happened. And even if it's something as simple as needing to reboot a computer, there are times when USGS personnel have had to temporarily be put back to work on an emergency basis just to get the system back to where it should be. "At this point we've already had a couple of instances of having to do that," Allen says. "Berkeley is monitoring all the time when the USGS is not at work. When something happens with the USGS system, Berkeley can get in touch with USGS to let them know and somebody will get drawn into work for short periods of time." That happened once early in the shutdown, and now it's happened again. A small group of federal employees were called back to work on Wednesday to complete, or to start to complete, seismic monitoring stations that had been in the works. The money to pay them is, for the moment, coming out of the money the state contributes to keep the lab functioning. "We're not concerned about our ability to monitor now, but if the shutdown goes on, things will start to get more difficult," Allen says. "We would normally be expecting to get next year's chunk of our USGS funding on Feb. 1. But even if the government was to open tomorrow, we can't be sure that will happen. So, what will happen and how much we will get are all unknowns. We're status quo now, and we could limp by on California state money, but it could get hairy. "Meanwhile, we look at this as an opportunity to highlight the growing impact this shutdown is having." "These kinds of quakes this week are little reminders that we live in earthquake country," Allen says. "It's a reminder to check that you are prepared for a bigger quake."